Pumpkin Pie FAQs and Tips: questions and Answers, tips and feedback about making homemade pumpkin pie from a fresh, real pumpkin or squash! Scroll down the page for answers to frequently asked questions about making homemade pumpkin pie. Whether you are using a fresh pumpkin, butternut squash or even canned pumpkin, you are likely to find an answer or tip here that will make your pumpkin pie better, and easier! Making a pie with a Jack O' Lantern: "I have a suggestion for those who want to use a jack o lantern pumpkin. My son was so happy when he went on his first field trip to the pumpkin patch. He made me promise to make pumpkin pies with his big giant pumpkin. I did just as you said baked it, put it in the frig over night. Then I put the pieces in a pot and cooked it until it was like mush added a big cinnamon stick and and the sugar boiled some of the water out and 4 great pies. Thank you for your recipe it worked wonder full!!!" Comments from a visitor on July 02, 2016: "I love your pumpkin pie recipe! 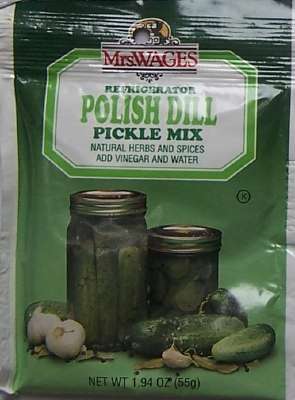 I've used it for two years now and the recipe is so dependable and thorough. One great way to use up the leftover pie filling is using it to make Pumpkin French Toast - it already had the eggs, milk, and spice. Just dip the bread in the filling and throw on the skillet. The toast goes great with a bit of melted butter, powdered sugar and some maple sugar! " Cutting the pumpkin - A visitor writes1: "Tip for cutting a whole pumpkin: I couldnt get the knife through, so I put the whole thing in the oven, seeds, stem and all for about 30 mins at 350 degrees, waited a few mins for everything to cool, then proceeded with your directions as normal. Seemed to work just fine. Thanks for your help, this is my first attempt at a pie with fresh pumpkin, and so far, so good!" Covering the edges of the crust: A visitor writes: "After having lost my old beloved recipe, I tried this one and have to say this one is top notch! One tip that might help to pass on (especially to new pie makers) is to cover the edges with aluminum foil to prevent the crust from burning. It really works and makes those yummy pie crusts as delicious as the rest of the pie!" Mashing the cooked pumpkin: A visitor writes: "Hello, great site here. I tried your pumpkin pie recipe and it came out great. Just wanted to add my two cents on pumpkin pie making. After cooking the pumpkin and scooping it out, you can use a potato ricer to mash it. When you first put the pumpkin in ricer and squeeze the handles together you get a decent amount of water squeezed out first. Then I put the ricer over bowl and squeeze the pumpkin out. The ricer mashes and gets water out at same time. Plus, another good thing is that a lot of the fiberous strings in pumpkin gets trapped at bottom of the ricer cup and not in the pumpkin puree. I bought my potato ricer at bed bath and beyond for fifteen bucks, so its cheap too. Hope this helps." Comments from a visitor on July 02, 2016: "Really like your site wanted to comment on the sugar alternatives , we use maple syrup 1 cup boiled down for thickness adds great flavor. Thanks "
Comments from a visitor on July 02, 2016: "I have made pumpkin pies from pumpkins for years and the best, most flavorful method is to cut in half, oil and roast, face down on high heat -- it carmelizes a bit, then I do drain it and boil down the water til it is thick and medium caramel color and add it to the puree -- adds a lot of flavor. yum :)"
Oven prep method: A visitor writes: "Another way to prep pumpkin that seems to get a consistent non-stringy finish regardless of pumpkin species: 1. Halve pumpkin and remove innards. 2. Place halves face-down on a greased cookie sheet. 3. Roast at 400 long enough for skins to visibly darken. 4. All species will come out firm, golden, and generally already separated from the shell. 5. Puree can be accomplished with a potato masher if desired. More watery pumpkins will drain and cook like pie pumpkins. Though messier in your oven, I have the best luck using a flat cookie sheet that allows the water to drain off and burn in the oven." Starting with a frozen pumpkin: A visitor writes: "Just wanted to add to your ideas about making pumpkin pies out of fresh pumpkins. I was preparing to make my pies for Thanksgiving and realized I had forgot to buy pumpkin. I read your site about the different ways to make pumpkin pies from fresh pumpkin ~ and, having pumpkins on my front porch for fall decorations, I went and grabbed one to use only to discover it had been frozen solid! (Our temps had dropped to 7° a few days before.) I had no choice but to give it a try. As it started to thaw it became soft. Here's what I did: Cut out the stem, cut the whole thing in half, scooped out the seeds, peeled the halves - I actually cut those in half to make peeling easier - and cubed the remaining into little bitty pieces. I put it all in a large covered sauce pan and slowly cooked it. Once they got soft enough I took a potato masher to it and cooked some more. Worked GREAT! I'll put it in a blender before using, but it was easy! Just cook real slow so as not to burn or scorch. But the frozen pumpkin started the break-down process and made cooking them much quicker and simpler. Just thought it a good alternative if anyone was interested. Thanks for the great site!!" What to do with extra pumpkin goop: A visitor writes: "I didn't read too carefully and only bought one 9 in pie crust, I had so much left over mixture! I quickly grabbed my muffin pans and those cute little paper inserts- I put approx 5-6 mini marshmallows in each one then filled 16 spots with the mixture. It was exactly the right amount of mixture. Let them sit for just a moment to allow the mellows to rise to the top (always add the mellows first because when pouring the mixture on top of them it coats the mellow to make the top brown in the oven much better) then finished filling them (the levels lower as the mellows rise). Baked at 350 for approx 30 minutes. They were GREAT and so easy to bring to work the following morning! as a side note - i have 2 more pumpkins and look forward to making more goodies in the coming week or so. I LOVE this site, its easy to follow and with all your pictures I know i'm doing things right. I DONT cook or bake on a regular basis. In fact, this was the very first pie i EVER attempted - homemade OR canned. Anyway, i think that the mini-pies are really great addition to those wishing to share the desert with co-workers or family members. no cutting or serving. also, the marshmellows add a little something! mmmmmmmm mmmmmmmmmm good! ~J"
Excess water? Give it to your dog! Comments from a visitor on October 02, 2011: "I was just reading your pumpkin pie "glop" recipe and would like to contribute a suggestion for what to do with the left over pumpkin water -- give it to your dogs! My little red terror, a terrier, and Irish wolfhound both loved to drink it once it is cooled. (Unsweetened and without spices, of course) I'm sure it must have beta-carotene in it (great cancer fighter and good for their heart, as well as any of the water soluble vitamins -- and have hardly any calories. 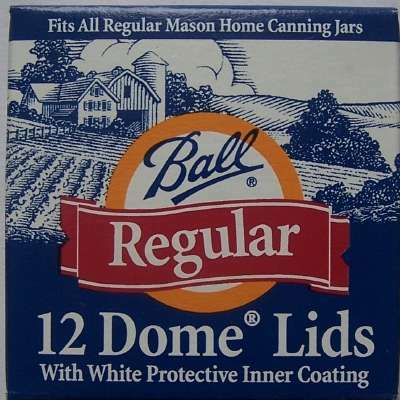 I use your canning recipes often, and make great use of your tips and shortcuts. Thanks for "being there". 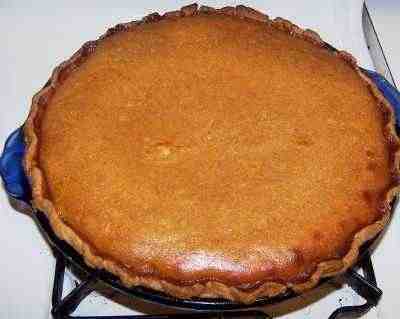 Carolyn "
Extra kick: Comments from a visitor on November 22, 2011: "My wife and I made your pumpkin pie recipe today. WOW! We made it exactly as your recipe reads, but added 1 teaspoon of cayenne pepper for a little kick. THE BEST pumpkin pie I've ever had. Oh yeah, we also used your pecan topping recipe. Can't wait to have it again! Thank you." Comments from a visitor on November 22, 2011: "Used your website to make my pumpkin pie from scratch, used the pumpkins we bought for Halloween. My pie came out perfect and delicious, with the leftover pumpkin I made muffins and bread. Thank you for this site Love it !!!" Comments from a visitor on November 26, 2010: "I used your pumpkin pie recipe for my food blog - it was amazing - thank you for having it on here! My mother grew the pumpkin :)"
Comments from a visitor on November 22, 2010: "Hi there! Just wanted to tell you that I made your pumpkin pie for Thanksgiving dinner last year and it was a unanimous vote of "OMG, this is the *BEST* pumpkin pie I've *EVER* had!!!!!" from all who attended :) 5 Star - 2 thumbs up !!!! " Comments from a visitor on November 14, 2010: "I tried for the first time to make pumkin pie from a pumkin and I followed the receipe you had to do so, The pies turned out terrific, At first I though the puree was going to be way to runny but when they started baking came out absolutely perfect. Thanks for taking the time to do this. It's very easy to follow and the pictures help alot, I am know roasting the seeds and looking for a way to use the left over puree, maybe for pumkin cup cakes." Comments from a visitor on November 10, 2010: "I just made your pumpkin recipe and it was amazingly perfect! I had about a cup of puree left over, and I wanted to add a suggestion for other pumpkin fans. I made some turkey chili, just a regular chili with tomatoes/peppers/jalapenos/beans/onions but i added the cup of puree and some apples, and some more of the pumpkin spices that were in the pie.--It's really good!! I thought it was a good idea for people looking for a more savory solution for their extra pumpkin. You can make dinner and dessert ! Thanks for the great recipe! " Comments from a visitor on October 28, 2010: "The pumpkin pie from scratch recipe is amazing! I prefer to bake in bulk and freeze, but was a bit hesitant about how a pumpkin pie would freeze. No worries here! I made both the original recipe and the variation for jack-o-lantern pumpkins and both froze well (I packaged them with wax paper over the top, plastic wrap and foil all around). I had given one to a neighbor straight from the freezer and she came back asking for more because it was the best pie she had ever eaten. Thank you for such excellent recipes!" Comments from a visitor on October 20, 2010: "Hi Just wanted to say, Great Pumpkin Pie Recipe. I made this last year for the adults attending my sons Halloween Party and it went down very well. We used to be able to get Libbys pumpkin, canned but it doesn't seem available in London anymore (not readily anyway) so your recipe was very helpful. I noticed one of your queries from the UK asked about evaporated milk, the most famous is 'Carnation' milk easily available from all major supermarkets plus most of them do their own brand. It is usually found in the "baking" aisle amongst the corn flour, baking powder etc. Thanks again for the recipe, will be making it again next week with my son!" Comments from a visitor on October 19, 2010: "I wanted to leave some feedback for the pumpkin pie recipe. I made this and it turned out amazing! I used the pumpkin pie spice instead of the separate ingredients because it was cheaper. I used 2 sugar pumpkins(I baked them) and I had 4.5 cups of pumpkin goo so I halved the recipe with the remaining 1.5 cups of pumpkin and it still turned out fantastic! Thank you for your recipe and all the different ways in which it can be made! I also took a picture if you would like me to email it to you just let me know!" Comments from a visitor on October 19, 2010: "I stumbled on your site while looking for a good pumpkin pie recipe to try out, when my local co-op delivered 2 small organic "pie pumpkins" last week! I'm so glad I did, because I have never cooked down a pumpkin or made a fresh pumpkin pie before, so this was all totally new to me! The pictures were wonderful!! I have to say, it was the best pumpkin pie I have ever tasted in my life. I was so impressed!! And, it was so incredibly easy, and my 3 year old helped me make the entire thing, even cooking the pumpkin! The one thing I did differently than I saw on your site, was cook the pumpkin by roasting it in the oven. I wanted to offer up my method for feedback purposes for those looking for a hands off, easy way to cook their pumpkin, that's fool proof and provides a pumpkin puree that has almost Zero leftover water in it. I simply cooked it like I cook my butternut or aacorn squash down- I cut it in half and scooped out the insides. Then i poked a few holes in the 2 sides to vent, and laid them flesh side down in a 9x13 glass baking dish with about an inch and a half of water in the bottom. I simply baked them, uncovered, at 375 for about an hour. The pulp practically fell out of the shell in one piece, and there was VERY little leftover water. It had a rich flavor from roasting it that I can't imagine a microwave could duplicate! I didn't have to constantly tend to the pumpkin as it cooked, which was great! I then just put it in my blender to smooth it out, and it was heavenly. My 2 kids (3 years & 20 months) were eating the puree plain with spoons before it even went into the pie! So easy, and SO delicious! Just wanted to pass it on! Thanks so much for a great recipe that I will use from now on!" Comments from a visitor on October 17, 2010: "Making the pumkin pie, made it last year too, awesome pie!!! Used the oven method this year, in a cast iron Dutch oven to cook the pumpkin, 90 minutes, came out perfect. Moist but not watery at all, can't wait to taste the finished product! " Comments from a visitor on October 16, 2010: "Thank you so much! I made my first-ever pumpkin pie from scratch yesterday and love the way it turned out. Your instructions were easy to follow, and your notes here and there on what not to worry about saved me a lot of unnecessary worry. My husband can't do dairy, so I substituted soy milk for the evaporated milk. I'm sure it came out differently, but it's still pretty tasty!" Comments from a visitor on October 10, 2010: "I just used your instructions for the homemade pumpkin pie! We received a pie pumpkin in our bi-weekly produce delivery and I figured I'd give making a homemade pie a go. I've done the Libby's of course, but always shied away from using a real pie. Anyway, I had enough for 2 pies (maybe 3 if I had bought more crust) and it is definitely THE best pumpkin pie ever! My husband is a fanatic about pumpkins and ate 3 slices already! Thanks for the recipe and instructions! It was really easy to follow!" Comments from a visitor on October 06, 2010: "I have used you recipe for pumpkin pie for three years and the pumpkin bread for two years. I absolutely love them! The first year my husband and I were dating, I talked him into making a "real" pumpkin pie with me. I found your recipe and we have now made a tradition of it. The recipes are fantastic! Also, the more I look around your site, the more I like it. Thanks so much!!" Comments from a visitor on November 27, 2009: "I guess this is the place for this, and all I can say is yum, yum. I fixed the pumpkin pie for our Thanksgiving dinner yesterday using your recipe. It was so delicious and even better today when I wasn't so full! My hubby even commented on it being so runny before hand (I'm glad you specified that), but it firmed right up (also just like you said). You wrote about Alton Brown's suggestion. I try not to use Crisco or shortening so instead I used 3 tbs. (1/6 c.) coconut oil and 1/3 c. butter and the crust turned out flaky and fabulous! I also used a large can of evaporated milk and a small 5oz can because I didn't want to buy 2 big ones and not know what to do with the rest. I was an ounce short by the recipe but it was still fabulous. This will definitely be my go to pumpkin pie recipe! Thanks so much." Comments from a visitor on November 26, 2009: "Cooking in France - I hope this is the right place to comment on the (fantastic) pumpkin pie recipe; here goes anyways. I'm studying in France for a year and just wanted to leave some notes on doing the recipe in France for anyone who's interested. First of all, the pumpkins available here (potirons) are squat, ugly, brownish dirty things but the flesh is a wonderful orange color. You buy them pre-quartered; I bought a big one and it gave me 3 1/2 cups. I steamed it and that worked really well, but it's so thick I had to chop it into 8 sections. It ended up being pretty watery, so I tried to boil off just a bit of the water after I pureed it (using a stick blender) - baaad idea. Let's see: evaporated milk in France is called "lait concentre'"; "lait evapore'" is powder. Also, if you're going to buy a crust, you want "pate brisee", instead of "pate feuilletee" which is too flaky. That's it!" Comments from a visitor on November 26, 2009: "This is the first time I have EVER baked a pumpkin pie from scratch. I began my interest when I went to a farmers market to go shopping for a Halloween pumpkin. when I was there, the farmer had so m any different types of pumpkins, colors, shapes and varieties. The one I found most interesting was a blue pumpkin (actual color is greyish). The farmer told me those are the best for making pies so I just bought one...before looking at your site. I ended up with a quite large pumpkin that made 7 of the very best pumpkin pies me and my friends have EVER had EVER. Your recipe is so user friendly and very helpful especially when I came up with A LOT of extra mixture, I plan on using that to make a good sized crustless pie. Thank you so much!!!" Comments from a visitor on November 26, 2009: "I love your recipe for pumpkin pie from scratch. I have made it twice this year and had great results using 1/2 cup honey and balancing it with a little extra sugar. I've been told this is the best pumpkin pie ever. My only neutral feedback is that my pies seem to take a lot longer to set. I know ovens vary, but in most recipes, mine runs about typical. In this one, I find myself cooking at the higher temp for 15 minutes and then the lower temp for approximately 75 minutes. Comments from a visitor on November 21, 2009: "Hi! I am an American living and working in Yerevan, Armenia. True pumpkins aren't generally available here, and nor is canned pumpkin puree; however, there is plenty of butternut squash. Since you mentioned that most canned pumpkin puree is actually squash anyway, I thought I'd try your recipe with fresh butternuts. Let me tell you, it turned out wonderfully! I had to make a few adjustments for altitude -- Armenia is a very mountainous country, and even here in relatively lowland Yerevan, we are over 3,000 feet above sea level -- such as less sugar and lower oven temperatures. Also, I couldn't find any evaporated milk, so I had to use condensed...I was a little nervous about this part, but I went ahead and used about 1 and 1/4 can, and it was fine. Thanks for showing metric conversions on your recipe, by the way. You showed me how easy it is to make really fresh 'pumpkin' pie, and it was better than any from-the-can pies I've ever made in the past! I'll never go back!" Comments from a visitor on November 08, 2009: "This message is in regards to your homemade pumpkin pie recipe. I just wanted to say thank you for such easy to follow and thorough instructions! I am a college student and have never baked a pie IN MY LIFE. I am committed to eating as naturally as possible so making a pie from a real pumpkin was something I wanted to do to cook with seasonal plants, support local farmers, and make the most natural choices possible for my diet. It proved to be quite an adventure! I wouldn't have been able to do it without your instructions. It came out perfect on my second attempt (due to my own errors and need for perfection!) but trying again was so worth it!!! My pie--your recipe--was a huge hit among family, friends, and coworkers and I felt like I accomplished something :) Your recipe allows the pumpkin flavor to be the star of the show. Thanks again!!!" Comments from a visitor on November 02, 2009: "Dear Folks: I made two Pumpkin pies. I used light brown sugar instead of white sugar. I recommend you try it. It adds to the pie. I am going to make Pumpkin bread using it as well. Regards, Peter , (a 74 year old baking neophyte)"
Comments from a visitor on November 01, 2009: "Thanks for your great pumpkin pie recipe! I just made 2 pies from a big pumpkin that we scooped out to make a lantern for hallowe'en, so I suppose that it was what you call a 'Jack O' Lantern'. I used someone's conversion of 'cups' into millilitres and grams so that I could make the pies. Anyway - fantastically delicious, and we are glad we got two of them. I used 'soft light brown sugar' because I love its taste and I also added about one quarter of a vanilla pod before blending it all. I also poured off the majority of the pumkin liquid after microwaving. Even so, it was incredibly runny before going in the oven, so I filled up the pie once I'd placed it in the oven. It came out and cut like a professional pie. Full marks for your recipe! " Comments from a visitor on October 26, 2009: "I found that your pumpkin pie recipe was perfect. My pumpkin yielded almost 4 cups of the pumpkin glob stuff. I also had forgotten to buy 2 cans of evaporated milk, so I used only one. It was still perfect. I don't think I could use canned pumpkin anymore." Comments from a visitor on October 25, 2009: "FABULOUS recipe! I cannot tell you how great it was preparing a pumpkin pie from scratch. The cost was very low, the pumpkin cost $1.50 (USD) and I had everything else already in my kitchen. I even roasted the seeds (bar-b-que flavor, if you were wondering). This site it going into my favorites." Comments from a visitor on October 25, 2009: "Just wanted to thank you for the pumpkin pie recipe from scratch! Tried it today and my pies turned out wonderful! I added 4oz of softened cream cheese to the mix. I usually add cream cheese when using the canned pumpkin as well. Happy to report the "homemade" version is fabulous! My hubby and son are very pleased as well. " Comments from a visitor on October 22, 2009: "I don't know if I am sending this to the correct place but, I just wanted to tell you that your pumpkin pie recipe/instructions was amazing. My wife and I are a young couple and we are new to cooking (21 & 20 years old). We made it with a 6 inch pie pumpkin we purchased from here in Florida. It was so much fun and the 3 pies we made with it were all PERFECT! and it was so easy and fun. I had my 7 year old brother carving pumpkins at the same time and we all had a blast. I will be sure to bookmark/share your site with everyone I know. Anyone can bake or cook anything with your instruction! Comments from a visitor on October 18, 2009: "I tried your pumpkin pie recipe. It was awesome! I have to say, I was skeptical if the pie would "set", because it was so "soupy" as you said. I remembered you said it "will" set. And it did! I have to agree with you, it isn't as heavy as store bought pumpkin, and the taste is so much better. Thank you for having this page! I also tried the pumpkin bread and it was fabulous too! These recipes, I will use again and again!" Comments from a visitor on October 13, 2009: "Thank you so much for your pumpkin pie recipe. I just finished baking the first of two pies AND my first pumpkin pie from scratch!!! It turned out amazing and it was so very simple. I know what my daughter will be asking for every fall from now on.... :)"
Comments from a visitor on October 11, 2009: "Thank you very much for the pumpkin pie recipe! I live in Spain and most classic American dishes have to be made from scratch. There is no such thing as canned pumpkin or ready made pie crusts. I made this recipe last year for Thanksgiving and my boyfriend's family loved it! I will be making it again this year. It was nice to have a taste of home on the other side of the Atlantic. Great job! " Comments from a visitor on October 04, 2009: "Hi! We just finished our first slice of your pumpkin pie recipe--incredible! A perfect way to bring in the fall. We liked it so much, we gave one to our neighbors since it yielded enough for two pies. I wanted to share that the pie pumpkin I choose only yield a little over 2 cups of pumpkin "mush" so I subbed plain applesauce since I had it on hand. The pie came out perfect and we couldn't tell applesauce had been added at all. Thanks for sharing such a fun and yummy recipe!" Comments from a visitor on September 29, 2009: "I used the recipe on this site to make pumpkin pie and it turned out completely glorious. Everyone is loving it. I've never made pumpkin pie before, let alone from scratch. I consider myself a fairly advanced baker when it comes to cakes etc. But I've made very few pies. These instructions were simple to understand and I had no issues at all. We were so pleased, but I have SO MUCH of the filling leftover! I filled my crust and made several little pie tarts in cup cake tins, but there's still about three cups of filling leftover. Comments from a visitor on September 21, 2009: "Thank you for posting that great pumpkin pie recipe. The first time I ever cooked a pumpkin or made a pie from scratch, and it was a success! My friend says it's the best she's ever tasted, and I must agree. Fabulous!" Comments from a visitor on September 20, 2009: "We had a bumper apple crop and I made pies. My 8 year old HATES apple pie so we promised her a pumpkin pie as well since my husband was running to the store. He returned with No canned pumpkin. We are fortunate enough to live across the street from a pumpkin farm and I sent him to Bonnie's to get a pie pumpkin and she was all out! She sent him home with a squash I'd never seen before! She called it a turban squash and told him it made better pies than pumpkins and to make it the same way. I was dubious. But I followed your scratch pumpkin pie recipe. It was a little less watery than a pumpkin and I used only one can of evaporated milk but it turned out beautifully and I may just be a turban squash convert! Thank you for helping me keep a promise!" Comments from a visitor on August 21, 2009: "Hello, So my 5 year old son asked last year about planting a garden in our backyard (3 acres)for this summer. I have never grown anything other than easy flowers from seed. This year on mother's day my gift from my son was tomato, watermelon, cantaloupe, corn, half runners and of course PUMPKIN seeds. With a little help from my neighbors I tilled the ground and we planted our seeds, never really expecting a whole lot of results because I am not a farmer. I was surprised and my son was so excited to see his seeds making a pretty good run. My pumpkins have done the best and I thought man I can't carve all of these pumpkins this year. So once again my son says "Mommy we can make pies!" I picked a few last week (August) and found your recipe. My husband even offered to help bake them. WOW! He cannot cook mac and cheese from a box. I have never even made pumpkin pies from a can before. I used 3 small pumpkins and made 6 pies out of them. I still was sitting here as they baked wondering how they were really going to taste. My first pie came out perfect and when we tasted it, it was better than any other pumpkin pie I tasted. Hubby and I told our son who helped make them what a good job he did. Of course we patted ourselves on our back as well. :) Thank you for providing this recipe I feel like Julia Childs right now. It was very easy to do ( a little time consuming) but a lot of fun to do with my hubby and our son. You are definitely book marked now. Off to make some pumpkin bread with my left over pie glop. Thanks A lot, Melinda Wolf"
Comments from a visitor on November 01, 2008: "I'm not sure if this is the right place to leave comments about your recipe, but here it goes. Yesterday for Halloween I tried making a pumpkin pie from a real pumpkin. I had some trouble cooking it and it seemed like I just kept running into problems (of my own fault), but I was determined to make this pie! When I finally got all the ingredients together I thought I had ruined it! I knew you said it would be pretty soupy but I never thought it would be like that. Plus I had TONS of left over filling! Long story short though, when I finally brought the pie out of the oven I knew my hours of labor had been worth it! It was absolutely the BEST PUMPKIN PIE my family ever had. My father, who is quite health conscious by the way, finished off half of the pie by himself! It was totally worth it and I am so excited to make more for Thanksgiving. Plus I took your advice and with the extra pumpkin filling made pumpkin pie bars, which I'm sure will be gone in no time! Thank you so much for this recipe and the step by step instruction made all the difference in the world! Signed, A Very Satisfied First Timer"